Welcome to the Grey Dog Software Store, the convenient, secure way to purchase your favorite Grey Dog Software products. All of our games are available for instant purchase and download, and optionally available as Windows CD-ROMs. Click here for Money Order and Telephone purchase information. World of Mixed Martial Arts 5 latest MMA release by developer Adam Ryland and represents the largest and most powerful game in the series. In WMMA5, you run your own MMA organization in a lively, vivid, competitive game world that evolves over time. Play with companies, fighters, and teams from all around the globe. WMMA5 contains an ultra-powerful fight simulator, giving you a blow-by-blow account of each bout. Deal with contracts, morale, promotional work, hype and more…this is the deepest MMA sim available. Total Extreme Wrestling 2016 is the seventh and best game in the award-winning TEW franchise by Adam Ryland and Grey Dog Software. In the TEW series, you play the role of a wrestling promoter. It is up to you to try and lead your chosen company to the top of the industry, along the way dealing with prima donna superstars, wars and alliances with other wrestling companies, and the demands of TV corporations! Bigger and more packed with enhanced features than ever before, the game takes its extremely popular predecessor TEW2013 and adds over 500 new features and improvements, including many long-awaited additions requested by the fans themselves. With new options that allow users to tone down the complexity of the game too, TEW2016 is the ideal jumping on point for new fans too! World of Mixed Martial Arts 4 is the latest MMA release by developer Adam Ryland. In WMMA4, you use your new scouting network to run an MMA company and search the globe for future superstars. Also for the first time, 1-8 players can control a mixed martial arts organization or choose to simply watch the game world evolve over time. Arcadia: Imperium: Arena of Death plunges you into a world of blood, dark influence and secret dealings. You play an Arenamaster who controls a ludus of 3 fighters, plucked from the ruins of an ancient city and trained in the art of spilling blood for gold. Your goal is to guide, train and prepare them for the ultimate goal: holding the championship banner high. Imperium features fully detailed warriors with 5 stats + detailed physical info such as height, weight, hair and eye color, and each warrior even has a special trait that can affect gameplay in various ways, making them true individuals. Your job is to mold and guide them on their brutal journey and earn as much gold and glory as you can for yourself while keeping them alive and well. There is a dark side as well: Use your Influence to purchase assorted favors to gain special benefits, bribe opponents with gold, or use special Brews to boost your fighter's skill. Wrestling Spirit 3 is the third version in the popular Wrestling Spirit line and adds new options and features. Like the prior two, the primary career mode sees you take control of a professional wrestler, guiding him through the tough matches and the heated rivalries toward the chance of glory in title matches around the world. The game also features tournament and league modes, as well as an in-depth editorial suite. Arcadia: Guild of Heroes is the first title for Grey Dog by developer Derek DiBenedetto. 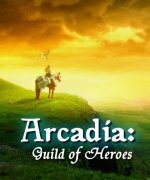 In Arcadia, you enter world of swords and beasts, treasure and discovery, treachery and death as you become the leader and overlord to a band of adventurers, set on exploring distant lands and pilfering all the riches you can. This unique blend of RPG and career text strategy sim is the first of its kind. A unique story based system changes the game as you play, along with thousands of different treasures to find, a fully detailed and realistic aging algorhythm and injury/disease system is built into the game, forcing you to make choices as they age about who to keep around, and who you may need to give the axe to. Bargain and sign them to pacts while still keeping your Gold chest in the black. Fast Break Pro Basketball 2013 brings you the option to simulate the past, present, and future of professional basketball. The new historical database includes past players starting with the 1946 season. Draft classes can be fictional, historical, imported from Fast Break College Basketball or Fast Break College Basketball 2010, or imported from custom draft files. The game universe now has room for multiple active leagues at once. Advanced customization options allow for leagues with up to 40 teams as well as developmental leagues or tiered leagues with promotion between leagues. The simulation possibilities are endless. Total Extreme Wrestling 2013 is the latest in the award-winning line of TEW! Building on the enormous success of its predecessors, TEW2013 takes the series to new heights with a multitude of great new features and changes, including many of the most popular suggestions made by TEW fans. In the TEW series, you play the role of a wrestling promoter. It is up to you to try and lead your chosen company to the top of the industry, along the way dealing with prima donna superstars, wars and alliances with other wrestling companies, and the demands of TV corporations! Comic Book Hero: The Greatest Cape is the initial entry of developer Adam Ryland into the world of comic book characters and stories. In CBH, you take control of your chosen hero and guide him through his career, overcoming evil schemes, forming alliances and teams, creating relationships with friends, enemies and civilians, and gaining new powers and abilities along the way. There are four game modes available, allowing you can choose to either take on the story of an existing character or create your own brand new hero. Along the way you will battle villains both physically and intellectually in strategic, turn-based combat. World of Mixed Martial Arts 3 is the third game by developer Adam Ryland depicting the World of Mixed Martial Arts. In WMMA3, you to take control of an MMA company and run it the way you want; amongst other things, you get to decide who to hire, what matches will take place, and who doesn't make the cut! Can you make it to the top of the industry? Fast Break College Basketball brings the excitement of college hoops to you. Play as any of the 347 Division I teams as they try to reach the big dance. You get control over coaching, recruiting, scheduling, and training. Take your team to the championship. Total Extreme Wrestling 2010 allows players to take on the role of a wrestling promoter, where it is up to you to try and steer your chosen company to the top of the industry, along the way dealing with prima donna superstars, wars and alliances with other wrestling companies, and the demands of TV corporations! Building on the enormous success of its predecessors, TEW2010 takes the series to new heights with a multitude of great new features and changes, including many of the most popular suggestions made by TEW fans. World of Mixed Martial Arts 2 is the follow up offering by developer Adam Ryland to the World of Mixed Martial Arts. In this new installment, you to take control of an MMA company and run it the way you want; amongst other things, you get to decide who to hire, what matches will take place, and who doesn't make the cut! Can you make it to the top of the industry? Total Extreme Wrestling 2008 allows players to take on the role of a wrestling promoter, where it is up to you to try and steer your chosen company to the top of the industry, along the way dealing with prima donna superstars, wars and alliances with other wrestling companies, and the demands of TV corporations! Along with several brand new features and improvements, TEW2008 will also include several additions suggested by fans of the series over the past year. World of Mixed Martial Arts is a PC-based management simulator set in the world of Mixed Martial Arts. The player takes control of an MMA company, and is in charge of just about everything to do with its running, including hiring fighters, match making, marketing, and so on. A sequel to the critically acclaimed TEW ’04 and ‘05, Total Extreme Wrestling 2007 allows players to become a major wrestling promoter. New features include advance booking, creating angles, momentum meters and more detailed wrestlers. The Wrestling Spirit Collection is a bundle of both critically acclaimed titles - Wrestling Spirit and Wrestling Spirit 2. The Wrestling Spirit series takes a unique angle and allows you to take control of the career of a professional wrestler. This includes wrestling his matches, negotiating contracts, keeping personal finances, dealing with injuries, and surviving backstage politics. While your wrestler may start out with only a low-card match in a minor federation, you will have the chance (through shrewd management) to mold your character into one of the top draws in the world and a true icon in the sport. Any purchase of the Wrestling Spirit Collection provides the user with a license of both titles to install. Wrestling Spirit 2 is the sequel to the popular simulator "Wrestling Spirit: Rookie To Legend". WreSpi2 builds upon the success of its predecessor, adding more depth and numerous new features. The Wrestling Spirit series takes a unique angle and allows you to take control of the career of a professional wrestler. This includes wrestling his matches, negotiating contracts, keeping personal finances, dealing with injuries, and surviving backstage politics. While your wrestler may start out with only a low-card match in a minor federation, you will have the chance (through shrewd management) to mold your character into one of the top draws in the world and a true icon in the sport. Are you up to the challenge? Tired of your alma mater never getting to a bowl? Think a coach is past his prime? Or just tired of your team not getting the elite recruits? Then grab your playbook and prepare to challenge your football knowledge in Bowl Bound College Football. Bowl Bound takes college football fans to the next level with professionally detailed game play, an in-depth recruiting process, an intuitive, streamlined interface, and the most thorough AI to meet sport management sims. Copyright ©2019 Grey Dog Software.